Is Playster’s Unified Entertainment Hub the Future of Streaming? Obviously, things have changed in a massive way and entertainment is now available from the comfort of your home. All it takes is an Internet connection. Basically, as long as you’re connected, you can get anything you want with the click of a button. This brings us to Playster, a newcomer to the entertainment streaming scene, which promises a unique approach. While most platforms specialize in offering just one type of media, Playster mashes everything together in a universal platform. 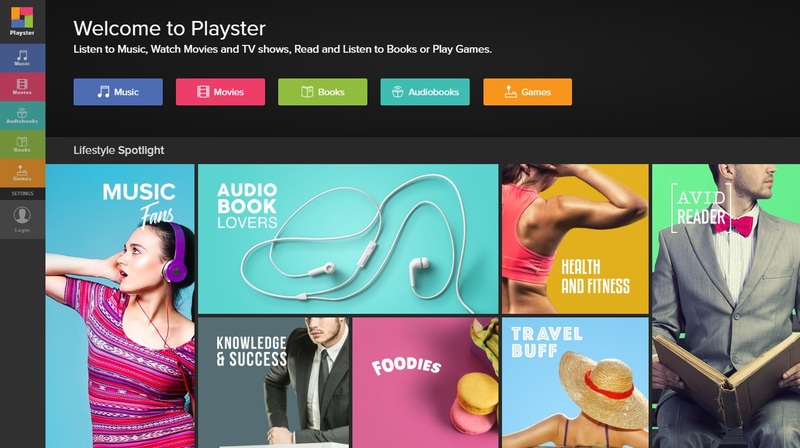 With Playster, a single subscription will give you access to movies, music, audiobooks, books and even games. This really helps the platform stand apart from its competition, as it removes the need to subscribe to multiple services. Playster offers multiple subscription types, meaning that you can completely customize your experience and choose exactly what you want and what you don’t. For starters, let’s look at the basic offer and what Playster has to offer as part of its all-inclusive plan. 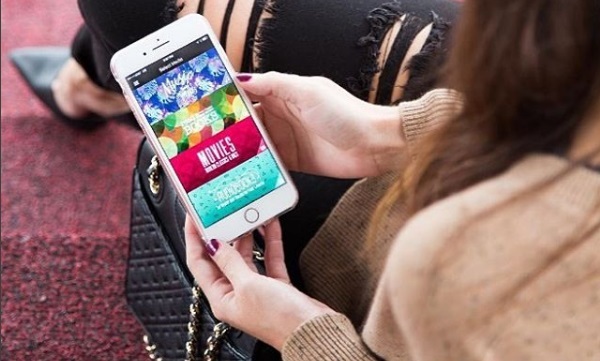 This subscription plan provides access to Playster’s complete catalog. You will be able to access millions of titles across all media types with zero restrictions, all in exchange for just $24.95 /month. You can watch a movie, listen to music, read a book, play a game and more — the sky’s the limit. This subscription type is just like the previous one, except that it allows you to have multiple users registered under one account, each with their own login information and settings. This means that a whole family can access Playster at the same time from different devices, eliminating all fights over whose turn it is to watch a movie. This subscription lets you choose just one type of media and save even more money. You will receive less content, but you will pay less, which might prove a worthy tradeoff for some. If you’re only interested in music, for example, you can pay $9.95 per month for a music membership. If you’re an avid reader, you can instead opt to receive access to books and audiobooks for the same price. If you enjoy your Playster experience and subscribe for a 12-month all-in-one plan, you will receive Playster’s Combo Box (valued at $250) for free. This box includes a pair of headphones and an eight-inch Android tablet, which has the same capabilities of any other tablet out there. How great is that? Regardless of which subscription type you find most enticing, it’s important to note that all new members will receive a free 30-day trial of the all-in-one plan to help them decide if the service is right for them. Playster will let you test out everything it has to offer to help you make an informed decision and, if you decide it’s not for you, you can cancel before the trial is over and won’t be charged anything. Could Playster Replace Your Current Streaming Apps? Playster is an entertainment provider with a huge library of quality content, such as books, audiobooks, movies, music and games, all of which are smartly combined into one simple, convenient app. In order to gain access to Playster, members pay a flat monthly fee, which is based on the subscription type they choose. The app can be accessed from as many as three devices at a time and allows unrestricted use. All you need to do in order to enjoy the service is to have a good internet connection and to have paid the subscription fee, which will set you back between $3.95 per month and $24.95 per month. Log into Playster and you will be able to endlessly stream music, read books or watch movies, plus you’ll be able to save all of your favorite content to your device in order to enjoy it offline later on. There are millions of titles to choose from, all sorted into categories, playlists and even moods for easy browsing and discovery. The streaming capabilities are fairly smooth from the reviews we’ve seen and from what we’ve experienced while testing the service. Some of our favorite finds included educational documentaries and child-friendly audiobooks that kept the kids entertained for hours while traveling. Seriously, there’s something for every member of the family in this app and the convenience of that cannot be beat. No matter if you are a fan of young adult novels, fiction, thrillers, romance or comedy, Playster has something for you. The platform’s book selection is fantastic and there is a plethora of titles to choose from, ranging from classics to all the newest releases. The library also features a wide selection of audiobooks for you to listen to while on the go and, perhaps best of all, a subscription granting unlimited access to books and audiobooks is just $9.95. The audiobooks section works just as smoothly (and intuitively) as the books section and you can choose from numerous genres and languages, including Italian and Spanish. Once you’ve finished a book, the platform will recommend other titles for you to enjoy based on your preferences. Playster also delivers when it comes to music, giving its members access to major label and indie artists alike. You can stream tracks both online and offline and discover new singles and albums by checking out their curated playlists. All you have to do is sit back, press a single button and Playster will treat you to a great stream of music. The service offers a bright and clean interface, great browsing speeds, user friendly iOS & android apps, and houses all the entertainment that you could wish for — all in one place. What’s more, you can take it all with you and enjoy it at the click of a button. In fact, Playster is so confident that you will enjoy their service that they’re currently offering all new members a free 30-day trial to experience it all first-hand. Let us be the first to say that this deal is simply too good to pass up. « Why To Test Mobile Applications Thoroughly Before Releasing Them to Public?